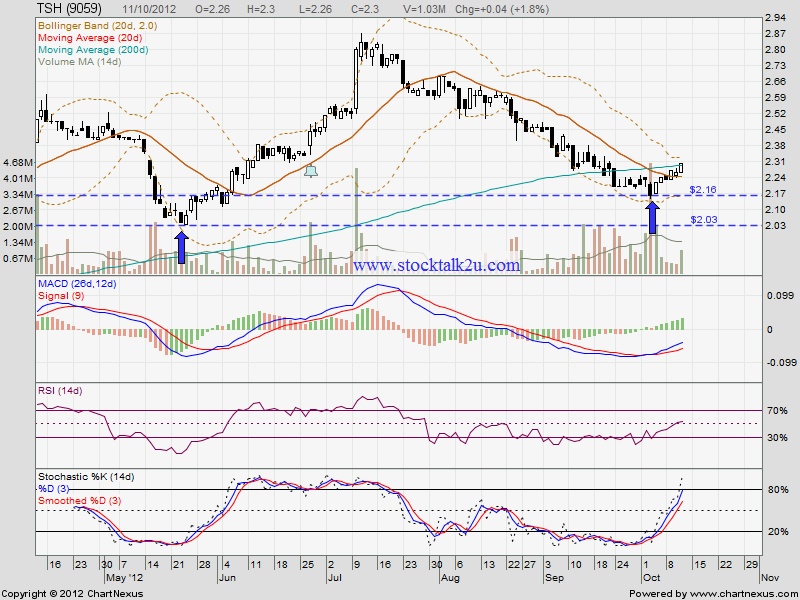 11 Oct 2012, TSH (9059) retest MA200 resistance level. 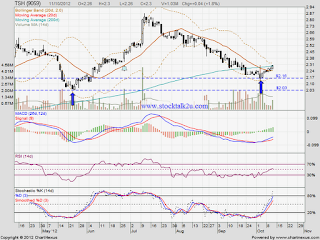 Strong resistance would be MA50 / MA100, which is around RM2.41 level. Subsequent support @ RM2.16 level.